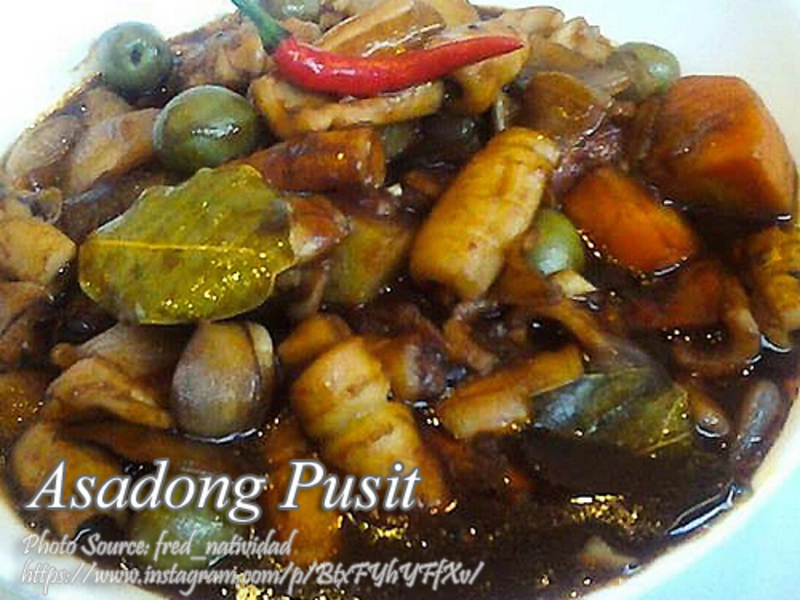 Asadong pusit is the seafood version of the well known pork or chicken asado. 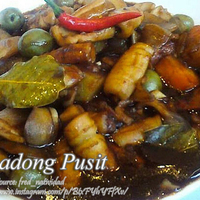 Since the main ingredient is squid, it is also easy to cook and requires just a few minutes to get it done. Overcooking the squid is also not recommended because it will become rubbery and tough to chew. Also, you need to precook the carrots and potatoes by frying them in order not to overcook the squid. There are many varieties of squid and you can always use what is available in the market. If the squid is large like the ones called lumot or cuttlefish, just slice it to bite size pieces. On small squid, you can cook them whole but you need to remove the innards.